In Colombia Angels are seen as guides and messengers. Everone has at least one angel to help them. Faith and belief in your Angel will allow you to channel your enegry and make the right decisions with their help. 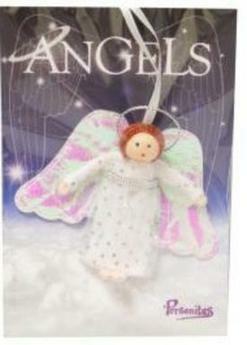 Your very own "Angels de la Guarda" is always with you. Size of a little finger. Handmade.